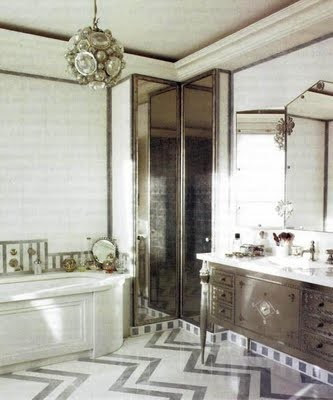 Flooring in the bath is often overlooked and boring. 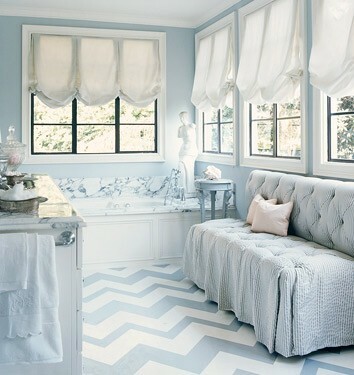 This is a shame because it can be the best place in your home to do something unique and beautiful on the floor. 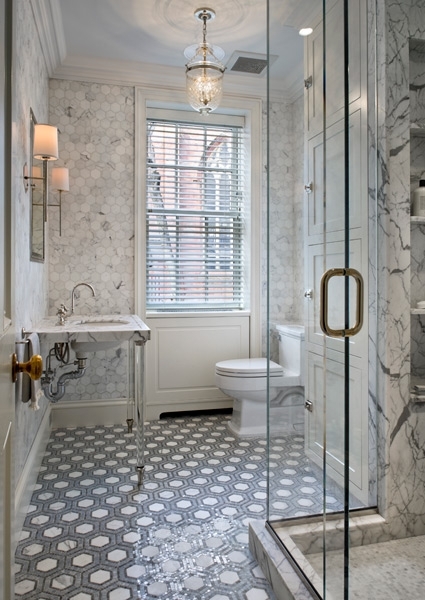 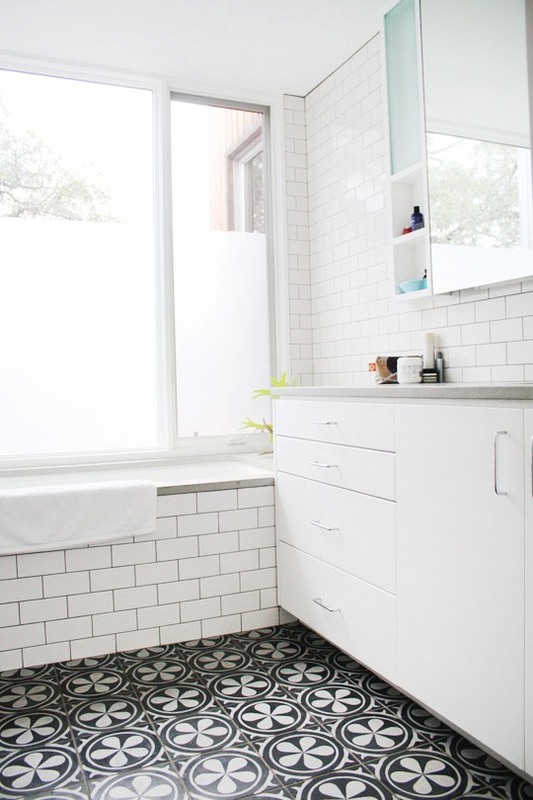 Today for Whiteout Wednesday I have five gorgeous bathrooms that all have amazing floors.